The Cuisinart Stovetop Pressure Cooker pressure cooker is safe, easy to use and cooks up to 70% faster than conventional methods. The pressure cooker allows food retain more vitamins and minerals than traditional cooking methods, while using less energy. It works with any cook top - gas, electric, glass ceramic, halogen, and induction. 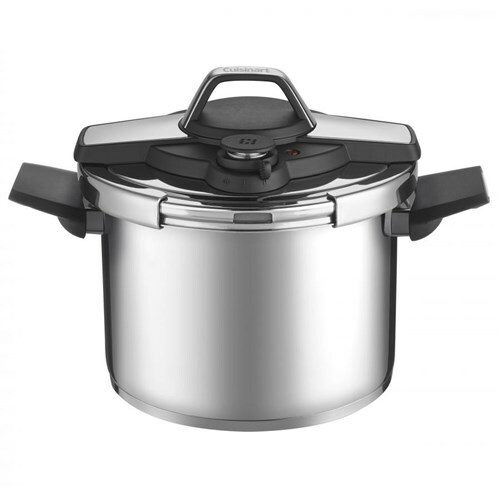 The Cuisinart 6QT SS Stovrtop Pressure Cooker has many exciting features for users of all types. 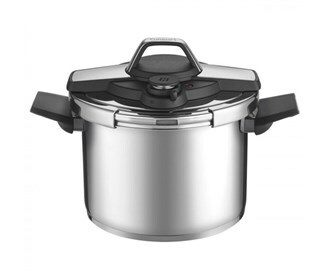 See the Cuisinart 6QT SS Stovrtop Pressure Cooker gallery images above for more product views. The Cuisinart 6QT SS Stovrtop Pressure Cooker is sold as a Brand New Unopened Item.